New documentary on early SNL star Gilda Radner features Amy Pohler, Melissa McCarthy, and Martin Short. 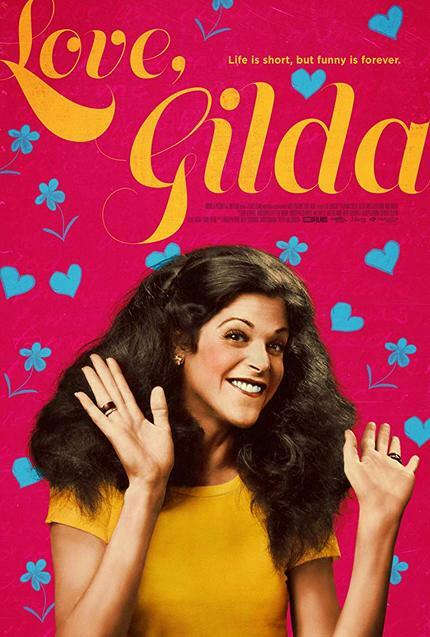 When you think of Gilda Radner, are you overcome with a melancholy half-smile? Do you chuckle when you think of her SNL characters, Roseanne Roseannadanna or "Baba Wawa"? If so, Lisa Dapolito’s new documentary Love, Gilda is for you. Though well assembled from hours and hours of vintage footage, as well as newly conducted talking-head interviews with those who knew Radner or were influenced by her, Love, Gilda immediately falls into the trap of “fan service”. In other words, the many, impassioned explanations of Radner’s comedic greatness are reinforcements of what the viewer is assumed to already know, as opposed to making her legacy accessible to non-fans and later generations. Yes, Gilda Radner was a late 1970’s pop culture phenomenon, and has since inspired most every female comedian who’s followed. But for those not in the know, or those that never quite fell for her squeaky-voiced, wildly physical, deliberately over-confident shtick, but are looking to “get it” (such as myself), Love, Gilda doesn’t do the trick. What Dapolito does well is showcase the many, many clips she somehow procured of Radner’s life and career. Following the obligatory opening montage about how successful and influential the comedian was, Love, Gilda launches into a rote chronology of her life’s major events. Home movies, photos, and interviews with family members inform of her childhood (nicely done, but yawn); then comes her career beginnings at Second City and the National Lampoon Radio Hour. Then, Saturday Night Live at its genesis. Show creator Lorne Michaels discusses his decision to select her as the first cast member ever for the venerable sketch show. Cohorts such as Martin Short, Paul Shaffer and Chevy Chase recall what an unstoppable ball of fire she was. Melissa McCarthy, Amy Pohler, Bill Hader, Maya Rudolph, and others, tell of her major influence on them, and are awestruck to be thumbing through Radner’s handwritten journals. And, of course, there are lots and lots and lots of funny clips. Most of which will be familiar to any longtime SNL fan, and the numerous retrospective specials it’s generated. Carrying over from some of those specials is a fascinating through-line about feminism amid the rampant “boys club” atmosphere of the dominant 1970’s NYC comedy scene. Here too, it remains merely an undercurrent. Furthermore, the story of exactly how and why Radner broke out as a major star (far more-so than her fellow female Not Ready for Primetime Players, Jane Curtain or Lorraine Newman, ever did) is never solidified. To say that the form is familiar would be an understatement, though aspects of its familiarity may come as surprises. For instance, throughout the entire film, Radner’s journal excerpts are read while the handwriting appears on screen, ala Asif Kapadia’s Amy. Uncertain love, serious thoughts about comedy (“The secret: get at the truth before the other guy realizes it.”), and a revolving door of passionate relationships are among the reoccurring themes. In such, a similar, if lighter, air of pending doom permeates Love, Gilda. This is true well before her 1989 death from cancer is covered. (Radner’s husband at this time, the late Gene Wilder, is pictured with Dapolito in a recent, latter-day state in conjunction with this film at IMDb. Wilder, however, does not appear in Love, Gilda). To be clear: This review is not me claiming Gilda Radner to be unfunny or overhyped. I fully accept that I’m the one with the work to do. I was very much hoping that Love, Gilda would provide a gateway. It’s difficult when the people you admire all admire someone that you’ve yet to click with. Such is the case of me and Gilda Radner. I’ve tried to warm up to her in the past, and though I’ve found her funny on occasion, her legacy, for me, always surpassed her actual laughs. As for Love, Gilda, it’s a competent but also purely by-the-numbers affair; sure to satisfy those ready for a nostalgia fix with a glint of emotional oomph. 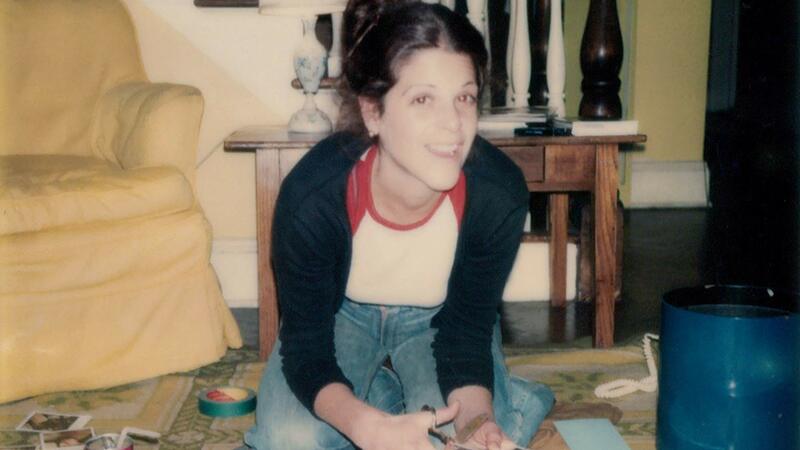 As for me… Lisa Dapolito might appreciate that the experience of this documentary- being made to consider the talent, memory, and impact of Gilda Radner- has led me to my years-old, too-ignored Saturday Night Live DVD box sets containing the complete first five years. The idea is that perhaps Radner’s comedy isn’t served well in ten-second clips. Perhaps whole sketches are what the doctor should order. And maybe then, I’ll finally love Gilda.